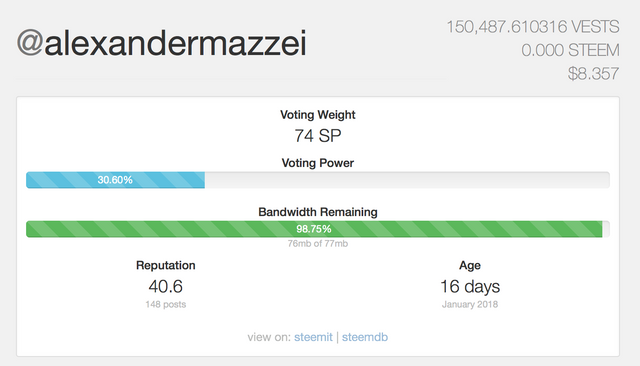 steemit bandwidth issues - WHY ME, WHY NOW? 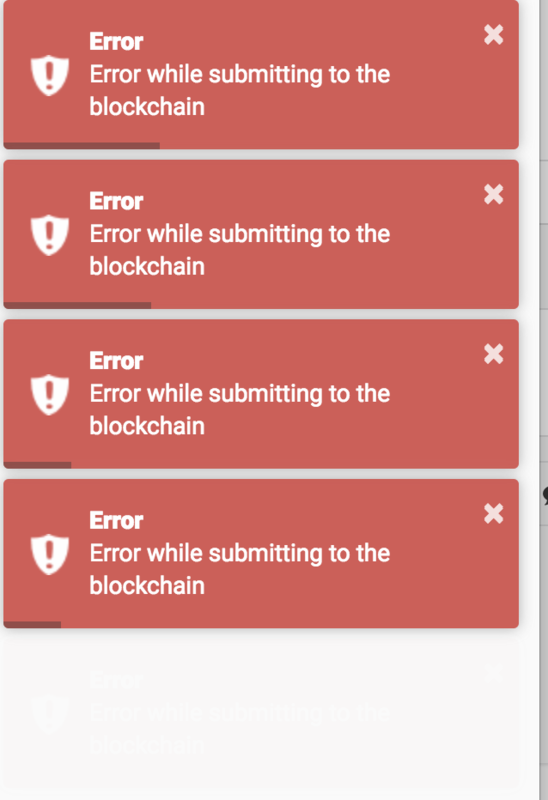 and for some reason every time​ I​ go to make a comment or reply to one, I​ get this annoying​ error. 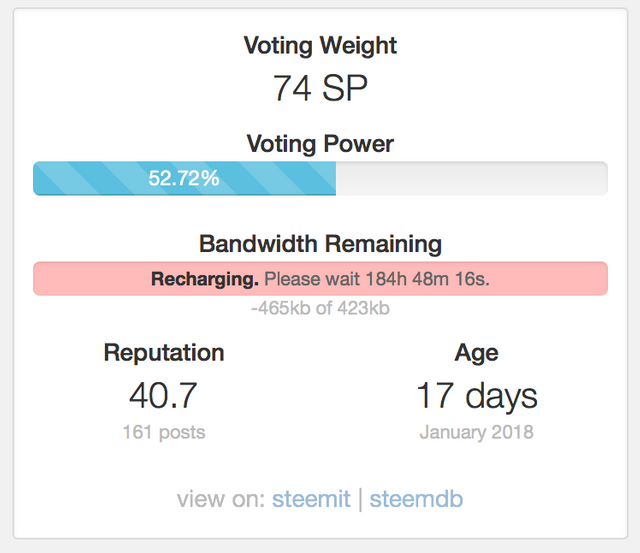 So I went to buy STEEM, But I can't because I got no bandwidth. Perfect. So I wait, and wait, and wait. And now I'm​ checking my bandwidth. I really want to go fast!!! I think I am better off walking. 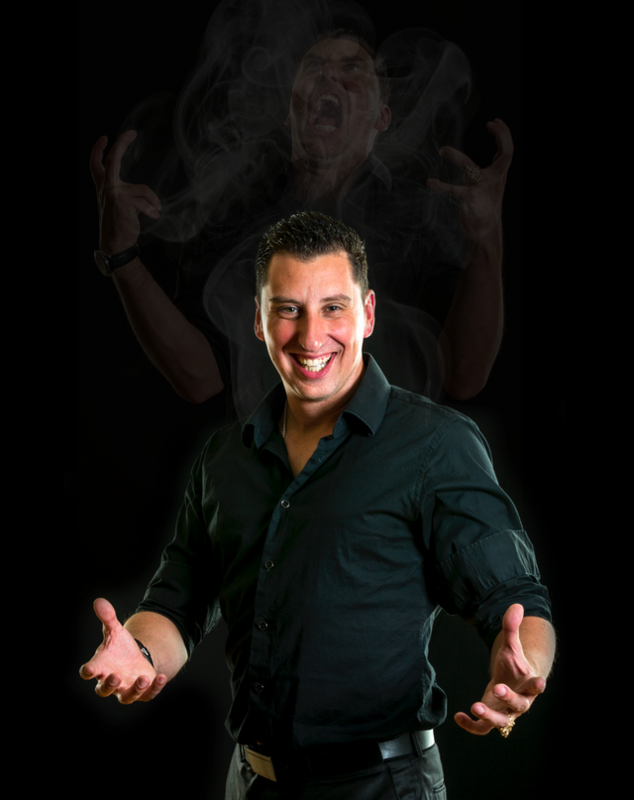 @jrswab - Sent me a link to a post he wrote which was helpful. I will continue​ my quest to understand more and more each day. One of the strangest things I did notice was the numbers under my bandwidth remaining changes each time I hit refresh. If I discover any more Tips or Tricks, I will surely share. 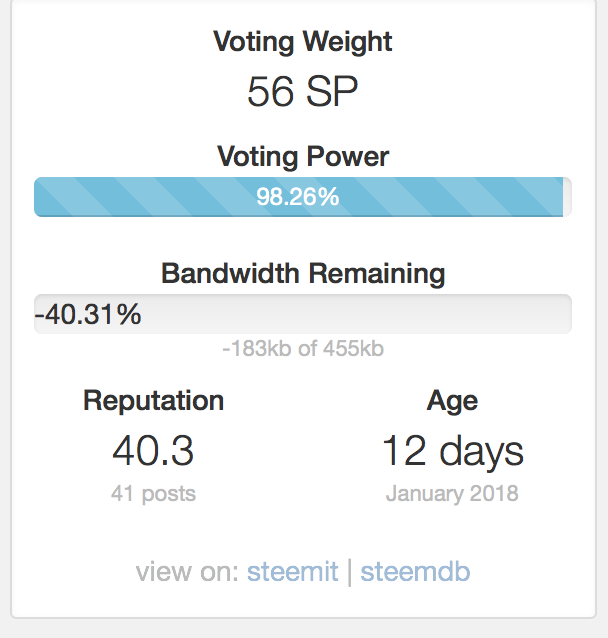 Just power up with as much Steem as you can and you won’t experience bandwidth issues any longer. I haven’t experienced bandwidth issues ever personally on this account but did on my second account that had only a tiny amount SP until recently. Now that account doesn’t experience any issues with bandwidth. I’m not really sure to be honest. But my other account is doing fine at about 50 SP. It really depends on how active you are as well. One of the things I'm​ trying to figure out is if the size of the images I am posting uses more bandwidth than if I​ compress it. Would that matter? Yes, that can impact on your bandwidth. Basically, anything requiring the sending of data will reduce your bandwidth. 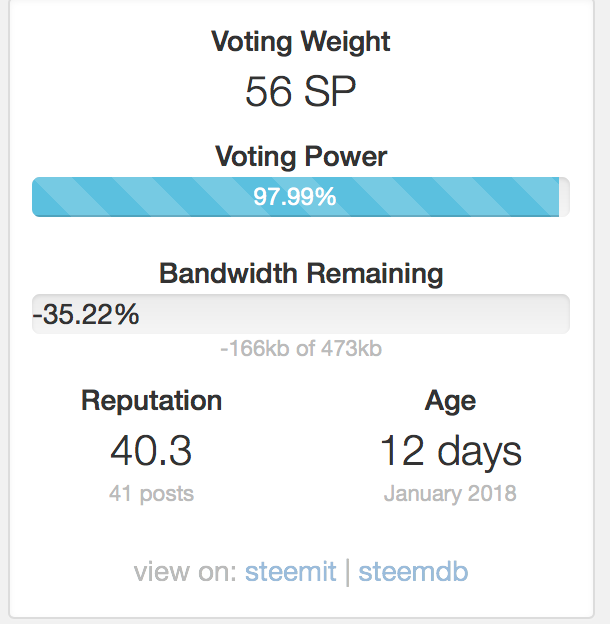 So increasing your Steem Power will increase how much data you can send and receive. Resteeming posts, commenting, uploading data etc all uses your bandwidth. It will recharge though. Woah! I’ve never seen that before. 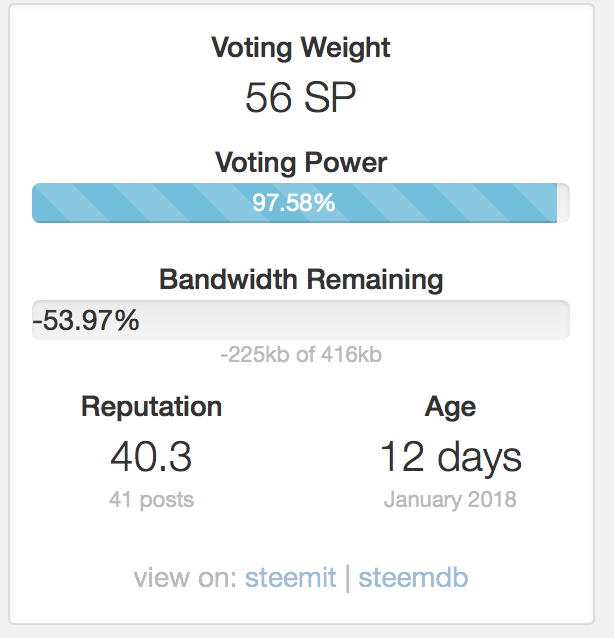 Jump on the Steem Chat #help channel and ask there. That looks insanely wrong. I tried in there. No reply. 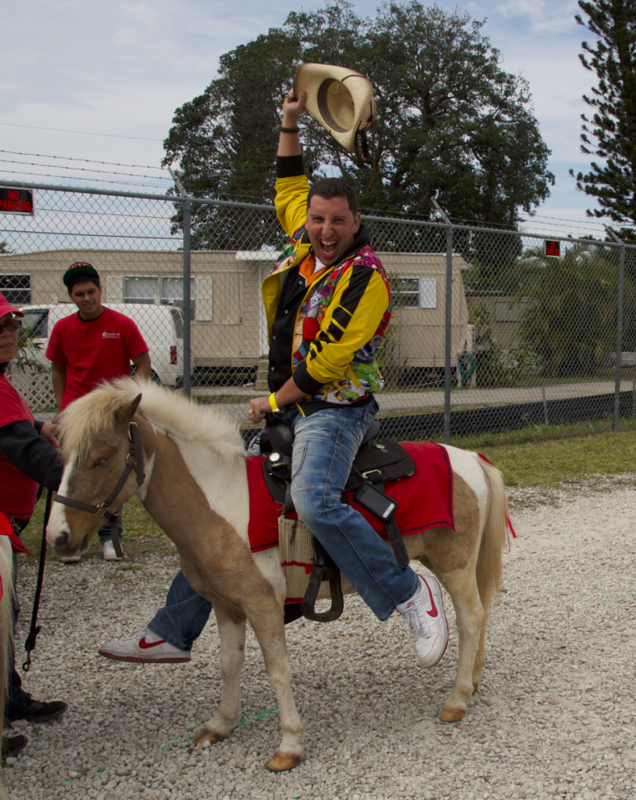 Whah whah.